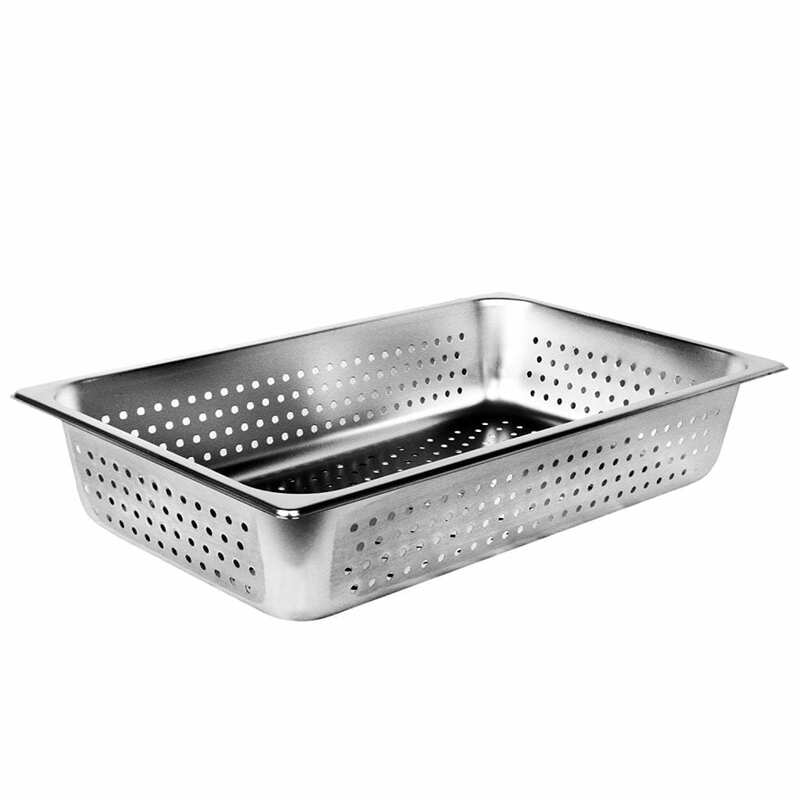 8 Quart Perforated Steam Pan helps keep your buffet foods hot and ready to serve. This chafer part is made of stainless steel and is great as a replacement pan for the 8 quart chafing pan. The 4 inch deep perforated pan is used to steam which is ideal for keeping wrapped tortillas and breads hot and moist or steamed veggies like carrots, potatoes, string beans ready to serve. Awesome for hot dogs, sausages, and event fish. We also rent serving utensils; buffet tongs, slotted spoons, serving spoons and serving forks. **Click here for chafing dishes.